In colonial Philadelphia, one could find a man who knew that by heating potash with soda he could make glass. That man was a glassblower. He might have made glass for the old Tun Tavern on King Street. He might have had his shop in the area of the City near Independence Hall. 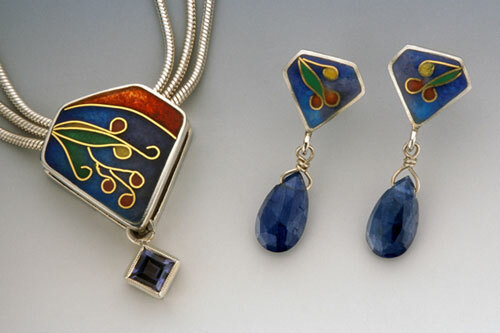 Today, Joan Strott-Alvini Jewelry is found in a shop near Independence Hall. That shop is one of many shops on Jewelers’ Row in Philadelphia. Joan Strott-Alvini, like the old glass blowers, has become familiar with the methods for transforming potash and sand into glass. 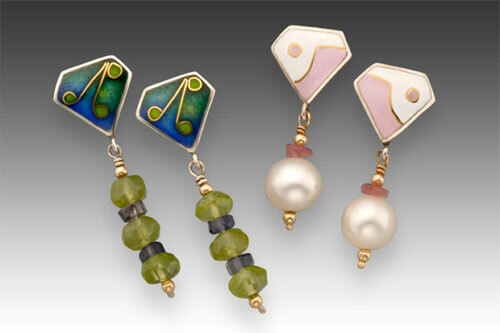 Joan Strott-Alvini makes customized, enamel jewelry. 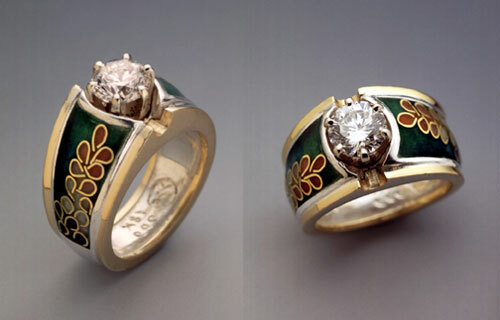 Enamel is colored glass that contains silicates. When potash, combined with soda or lime in the proper proportions, has been used to make glass, the result is called “flux.” As a clear substance, “flux” can serve as an attractive coating for copper. Once poured onto copper, “flux” takes-on a tan-like hue. 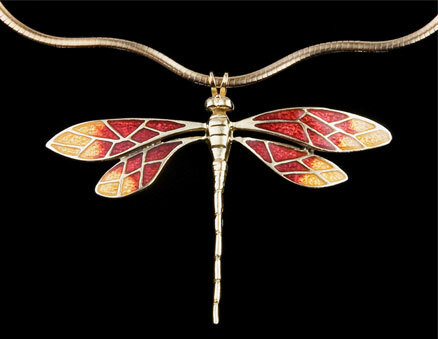 Joan Strott-Alvini Jewelry includes many pieces of tan jewelry. It also includes jewelry with other colors. Joan Strott-Alvini knows how to add color to flux. She knows how to add various oxides of metals. Using that technique, she has created pieces of jewelry with rich colors. For certain residents of Pennsylvania, a journey to the shop with Joan Strott-Alvini Jewelry is not difficult or expensive. Residents who live close to the lines of the Reading Railroad can take a train into the Reading train station. That station is in center Philadelphia. From that train station, one can walk over to Walnut Street. Walnut Street has many wonderful shops. Window shoppers love to spend time on Walnut Street. If a pedestrian takes Walnut Street down to 8th street and then travels in the direction of Chestnut Street, that pedestrian will find the shop with Joan Strott-Alvini Jewelry. The window of this particular jewelry shop looks out on a brick-paved street near Independence Hall. The men who signed the U.S. Declaration of Independence walked on that same street. Of course they were not looking for jewelry. They might have been looking for an article of glass, an item made from some of the same materials that go into Joan Strott-Alvini Jewelry.